Built by Harland & Wolff, Belfast, Cufic (I) was White Star’s first cattle carrier and the line’s first ship powered by triple expansion engines. Launched in October 1888, she made her maiden voyage, from Liverpool to New York, on 8 December of that year. From 1896 to 1899, Cufic was chartered to Cia. Transatlantica Español and, renamed Nuestra Señora de Guadalupe, used to transport horses to Cuba for the Spanish military. She then returned to White Star and her original name. Cufic was sold to the Dominion Line in 1901 and was renamed Manxman. 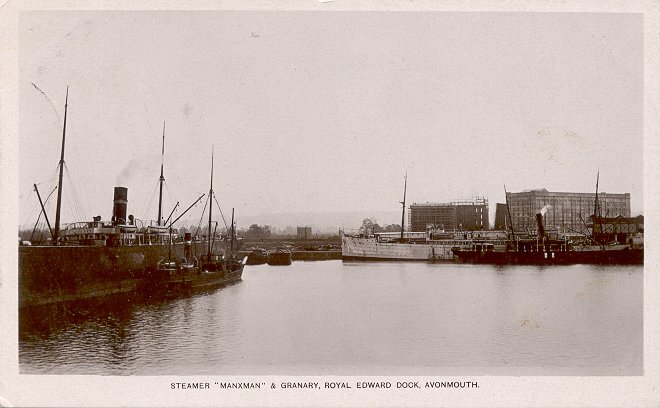 As Manxman, she was sold three times: in 1915 to Elder Dempster, in 1916 to R. Lawrence Smith, Ltd., and in 1919 to the Universal Transport Co. She was also taken over by the Shipping Controller under the Liner Requisition scheme from 1917 until February 1919. On 18 December 1919, Manxman foundered in the North Atlantic while en route from Portland, Maine, to Gibraltar, with a cargo of wheat. All 40 members of her crew were lost. Sources: Bonsor’s North Atlantic Seaway; Haws Merchant Fleets; Anderson’s White Star; Moss and Hume’s Shipbuilders to the World.